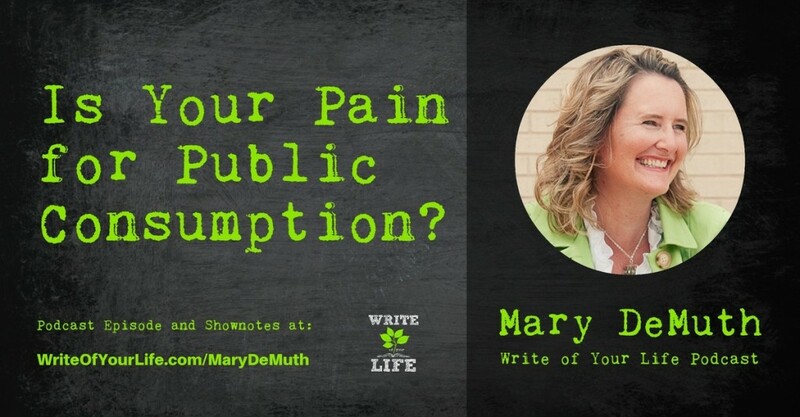 Is Your Pain for Public Consumption? 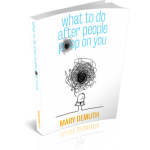 Mary DeMuth, author, speaker, and founder of Re-Story Me, had a very difficult childhood, including having been the child of 3 divorces and a victim of sexual assault. Those issues can’t but help come out in writing because so much of what makes up our lives is formed in the first few years. Pieces of Mary’s story are told in her book “Building the Christian Family You Never Had” which was followed up with her full memoir, “Thin Places”. She has gone on to write much more and today, she’s also an international speaker, working with Compassion International at college campuses, and she is a guest at writer’s conferences. Mary has always been a journal writer, so that much of her story was already in words but it was still ‘bottled up’ inside. When she first became a Christian, she started telling everyone her story, the ‘awkward oversharer at the party’, because she was desperate for people to hear her and to heal; she just didn’t know how to do it. She learned that was not always wise and it wasn’t until college, when she found a trusted group of friends that would pray for her, that the real healing started to happen. Her advice: If you haven’t already gotten your story out, journaling is an excellent first step, and then sharing it with a very trusted friend who won’t diminish or dismiss its importance. God has used every book Mary’s ever written to heal her, so every time she’s inspired she wonders what He has to say and show her. God uses the creative process within our own lives for our benefit. You don’t have to write for public consumption. You may just have to do it for your own eyes, but God is going to do amazing things through your words by you simply writing them. She also had a fear of what others might think, especially relatives who were still living. She realized it was just something she would have to handle because if we all wait for everyone to die, there would never be any encouragement for others who are dealing with the muck from their past. Although you never truly get rid of that fear, Mary knew she had to overcome it because God had put her in place to write these books. It was a very scary and tenuous place to be, but after publication she never gave it another worry; she knew that her words would set people free . That joy trumped the fear. 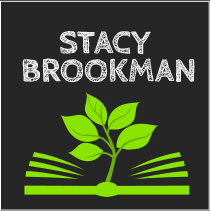 The goal for her readers is to be a community, a group for those that she shepherds. She feels a responsibility for them; part of that is being concerned for their welfare and that concern for their well-being includes prayer. There are some times when being vulnerable in her blog and newsletter can get tiring but she also knows that this is the space God has called her to and it’s very rewarding. On a recent poll of her readers, the overwhelming response she received was that their image of her was one of authenticity. She knows that God is working through her authenticity to reach others. 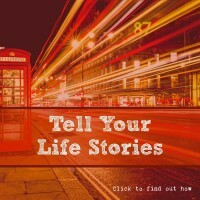 She recently received an email from a reader, a 44-year old woman, who has finally found the courage through Mary’s writing, to tell her own story for the first time. If Mary had not been vulnerable in her memoir, this reader may not have ever realized that she could be as well, and would not have started the healing process, so everything Mary does to be open with her audience is worth it. She thinks of herself as a pioneer-she goes out in front to tackle the difficult things so that it’s less scary for those coming behind her. Don’t process your pain about someone else online before you’ve at least attempted to handle it with them offline. Be very cautious about being angry on the internet-it’s very difficult to convey tone in text and things can be easily misinterpreted. When she is the most vulnerable in her posts..that’s when she gets the most interaction from readers. That doesn’t mean to ‘let it all out’ online all the time; it just means that when you are open and authentic, those are the issues and subjects that really touch hearts. It’s really important to process your pain before you hand it over for public consumption. If it’s new to you, start working through it, make sense of it before you try to convey it to someone else. Start with a journal and then use it later for fodder – don’t ‘word vomit’ on your readers; there aren’t any valuable lessons to be learned for anyone if you’re rambling. In addition to writing almost every day, whether it be a book she’s working on, her newsletter, or her blog, Mary is also a member of a mastermind group of other writers. This is something she highly recommends for other writers as well. You don’t have to live in the same city – Mary participates with her group via Google Hangout. She also speaks at writers’ conferences, another avenue she suggests for aspiring authors. These conferences will give you all the info you need to know about publishing in one place at one time and you will also have the opportunity to rub shoulders with other writing professionals and authors. 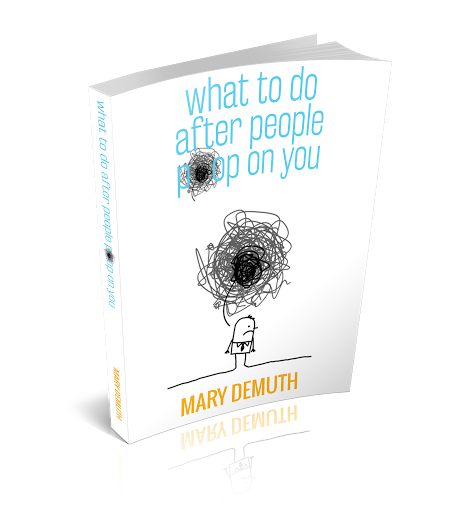 Check out her free e-book, ‘What to Do After People Poop on You’, a guide for helping you get over relational heartbreak. Trello is a collaboration tool that organizes your projects into boards. In one glance, Trello tells you what’s being worked on, who’s working on what, and where something is in a process. People use Trello for every kind of project imaginable. You can start a project on your laptop, add to it on your mobile phone, and later share information from your tablet. It’s a calendar, a collaboration tool, and organizational tool, a project manager, and more. There’s a great free option with unlimited boards, lists, cards, members, checklists, attachments, etc. There are other options that integrate with your other favorite online tools, like Salesforce, Slack, Google Drive, Dropbox, Evernote, Google Hangouts, and more. Those start at $8.33 a month. It’s a great tool so head over to Trello.com and check it out. Mary is the author of thirty books, including her latest: The Day I Met Jesus: The Revealing Diaries of Five Women from the Gospels. She has spoken around the world about God’s ability to uncage a life, bringing needed freedom to her audiences. She’s been on the 700 Club, spoken in Munich, Cape Town, and Monte Carlo, and planted a church with her family in southern France. Her best work? Being a mom to three amazing young adults and the wife of nearly 25 years to Patrick. She makes her home in Dallas alongside her husband, two dueling cats, and a dog who smells like fish. Find out more at marydemuth.com.